In a medium bowl sift together flour, baking powder and salt. Set aside. In a mixing bowl, cream butter and sugar, add in eggs & vanilla. Add the flour mixture to the wet ingredients one cup at a time. Do not over mix, the dough will be very soft. Divide the dough into 6 equal portions and tint with food colouring accordingly so that you have the following colours : red, orange , yellow, green, blue and purple. Roll each colour into a ball, wrap in saran wrap and refrigerate for about 15-20 minutes until it’s slightly firmer. Lightly dust a large piece of parchment paper with flour and roll out the red into a medium rectangle – about 6x10. The dough should be very thin. Then going in the order of the rainbow, roll out each subsequent colour to a similar sized rectangle and stack it on top of the red. This is the trickiest part. Use the parchment paper to flip the next colour onto the stack and then gently peel the paper away. When all of the colours have been stacked, cover with parchment paper and press together firmly, then put in the fridge for at least one hour. Preheat the oven to 350F. When the dough is chilled, trim the edges to make a neat rectangle and cut in half into two long rectangles of 3x10. Slice 1/4inch slices, curve into a rainbow shape and place on an ungreased cookie sheet. Bake at 350F for about 10 minutes. Leave to cool one minute on the pan and then move to cooling racks to cool completely. Tip: it is best to leave dough in the fridge until you are ready to use it, so if you are baking 2 cookie sheets at a time and are waiting to cut and arrange the next batch -- leave the dough in the fridge until you are ready to put the cookies on the sheet. I wrote her initials on them in food colouring markers. Sealed sandwiches are very easy to make if you have the little tool. I have this set below with a few different sizes. I use them for other things as well -- pizza pockets, cheese and onion pasties, fruit filled pastries etc... You use it open to cut the bread into a circle and then put it inside, fill it and then press it closed until it seals. Turtle sandwiches for Amy & Heidi. vitamin & a turtle shaped sandwich. I started with the brown and then she took over and wanted to put every colour on her sandwich! They ate almost everything in these lunches. Yay! Sunday morning breakfast for two! The girls ate breakfast earlier ( they woke up at 6 am today!) and then the hubby and I had a later breakfast, just the two of us. This is a very easy method that I learned from the Barefoot Contessa many years ago. Thanks Ina! You can adjust it to use your favourite herbs or what you have on hand. This is the way that we LOVE it. Turn on the broiler. Put two small gratin dishes on a baking sheet and place 1/2 a tbsp butter and 1 tbsp heavy cream into each. Put them under the broiler for about 3 minutes until they are bubbly and hot. Remove the gratin dishes from the oven and pour in the eggs, 2 into each gratin dish. Don't break the yolks! Share the parsley, thyme and chives between both dishes. Season with salt & freshly ground pepper. Return to the broiler for about 7 more minutes until the egg whites are mostly cooked. We like our whites cooked through and the yolks a bit runny. Adjust the cooking time to your tastes, upon standing they will continue to cook slightly. Keep an eye on them to make sure that they are cooking evenly, rotate as necessary. Remove from the oven and let stand for about 1 more minute. Serve with buttered toast. Be careful as the dishes are hot! It is extremely easy to increase this recipe to accommodate more servings as you are making individual serving dishes anyway. This is also a good recipe to create for a few extra guests as it has a bit of a wow factor yet is so easy to make. If you don't have these cute little gratin dishes you can also use ramekins. I bought my gratin dishes at International Imports ages ago but I imagine they still keep them in stock. These are from the same day as Rose's You're a star bento. I made these pretty fast after spending a bit of extra time figuring out what to put in Rose's lunch that was not a sandwich and not crackers again! Some items were going in all three lunches so that obviously makes it go faster anyway. Here it is all packed up and ready to go! This lunchbox came from Old Navy. They had several other styles but when I went to order one in their sale it was the only design left - $1.80 a good deal! I think it's a monkey. Star themed bento for Rose -- with NO SANDWICH. I asked her what she wanted for lunch today and she said I don't want a sandwich. It's official. Sandwiches are off the list! I included a teeny little spoon and a mini cup (saved from takeout) of BBQ sauce for her meatballs. The broccoli and the cauliflower are lightly steamed, the carrots are raw since she wanted them crunchy. One other little booboo I made was putting my icing on the top before they had cooled enough. It looked less drizzled and kind of melted/spread all over. Still tasted great but not quite as pretty as the original photo! Easy peasy lemon squeezy! As Amy would say :) I used one box of Duncan Hines Coconut Supreme cake mix and some food colouring. I separated out the cake mix into 6 bowls and coloured them- red, orange, yellow, green, blue and a violet-y-purple. Then I layered in one small spoon of each colour into each cupcake well. Baked as usual and frosted with Betty Crocker cherry frosting and covered in rainbow sprinkles. The coconut cake and cherry frosting is really a good combination. I was not in the mood to make icing and all I had in the house was one can of ready made cherry frosting. I'm glad it worked out that way -- Delicious! These do not hang around too long -- I had to hide two that I wanted to take to my grandparents. they almost missed out! Amy and Rose made their own lunches one day last week. 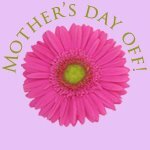 I'm joining in on another blog hop -- Mom's Day Off! 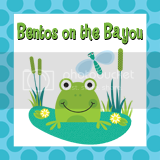 Check out the link at the bottom of the post to hop on over to another Mom's Day Off lunch box. This was really Mom's half morning off -- I still had to prepare snack for the class and Heidi's lunch to take to her cousin's Sports Day. The girls did a really good job and other than me reaching down a few high items and cutting the carrot into sticks, they actually did this by themselves. I did steer them in the direction of "please use your planetboxes" since I knew it would make it easy for them with the nicely divided compartments. mini container with a vitamin, heart shaped sandwiches covered in sprinkles!! Oh my goodness was this good! I saw this recipe on facebook on the When the Dinner Bell Rings page. I knew right away it was something I wanted to try. We are having some good produce coming from our garden and I am trying new ways to cook some veggies that I normally just steam. These are two thumbs up! It really couldn't be any easier and I only made one addition. Preheat oven to 400F. Put the carrots on a cookie sheet and drizzle with olive oil - the recipe said mist, I drizzled!, season with salt and pepper. Toss them up a bit right on the sheet to make sure they are all seasoned. Roast for about 20 minutes. In a bowl mix 2 tablespoons honey and 1 tablespoon balsamic vinegar. Toss the hot carrots in the bowl to coat them with the honey and vinegar mixture. Dump them back on the baking sheet and sprinkle with chopped parsley ( my addition). Return to the oven for 5 more minutes. Enjoy! I stumbled across a bento that I had missed posting somehow. This was for Heidi over the mid term break back in April! It was definitely eaten at home - the same day that I made Rosie a rainbow bento and the Hello Kitty bento for Amy. Easy and fast to pack lunchboxes for a busy morning! I made Heidi's exactly like Amy's except somehow her elephant sandwiches didn't come out quite right! The pudding is a special treat. I made it for them for dessert and they wanted to save some for lunch. plus her new favourite thing - crackers and bologna roll ups! I'm going to have to start paying closer attention to the "not a sandwich" bentos I see online. Rose is on a bit of a boycott of sandwiches still. She wants crackers and bologna or ham all the time now. I must convince her to try something else. I haven't made any savoury muffins in a while, might make a batch of those this weekend. She ate almost everything in here! Amy's and Rose's lunchboxes look very similar today. The only change is for personal taste preferences. Like most days, both lunches are packed in their Planetboxes. These were the most delicious clementines that we've had in ages! My mom bought us one of those mini crates and we went through it very quickly. They were so sweet and juicy <3. Amy is learning about snakes at school. cantaloupe, craisins, ham snake sandwiches. Cute animal picks and rabbit cup came from All Things For Sale. She ate everything except 2 carrot sticks!